I read about that yesterday, feel for all involved. I just saw the video of the crash. Both were landing into the sun. 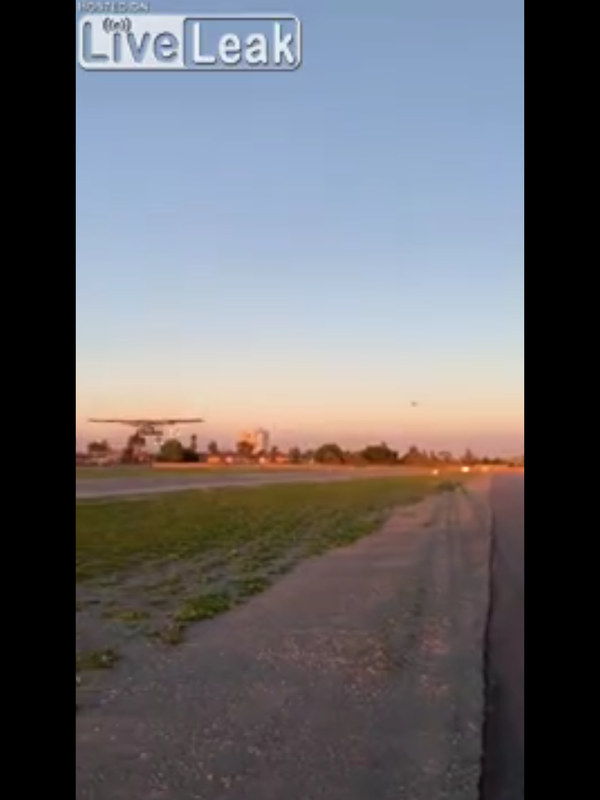 I doubt there was any way the T-28 pilot could see the C-152 it was following in on final. Very sad situation. Wow maybe adsb could have prevented this terrible accident. 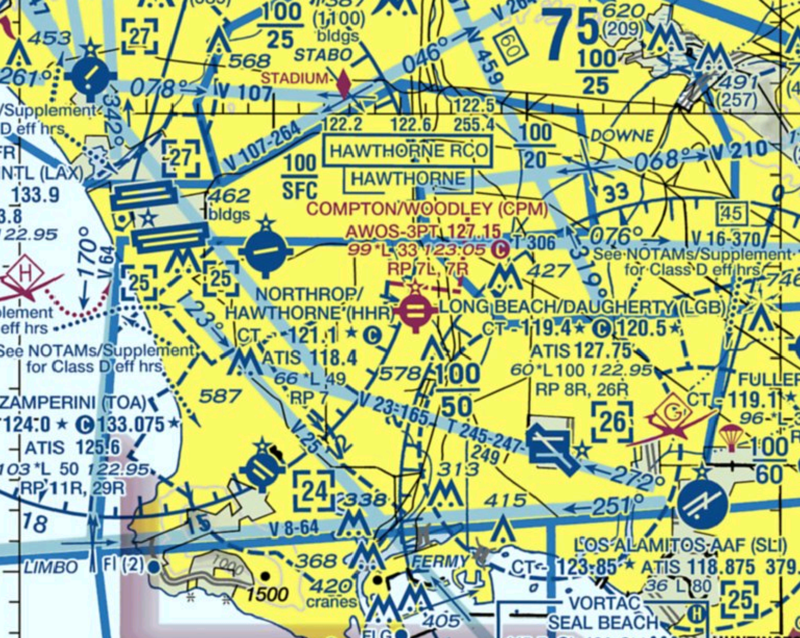 I have never used it but talked to a biplane pilot that had it installed in his panel and he told me he was about to enter the pattern for west runway at non tower airport, than noticed his screen showing a plane in the pattern for the east runway not talking on ctaf. I have a local runway just like they were using, east and west, in the evening on clear day you are blinded by sun using 28, if wind 5 knots or less I use the runway that doesn't blind me by sun. They are far enough from any other airports that using a different direction runway should not be a problem. This proves landing into the sun can be disastrous. Last edited by SMO22; 03-15-2019 at 02:45 PM. Our airport (MQJ) has signage stating the below 5 knots use runway 25. No idea if something similar was in place there. A good opportunity to use PIC authority. 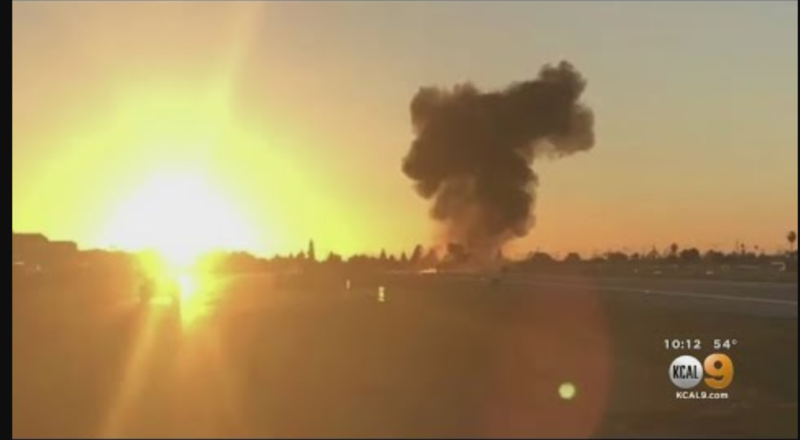 If questioned why you broke the noise ordinance, show this video and if they still don't understand, try explaining that your plane engine is quieter than this explosion of aircraft colliding. I think the FAA will be on your side after this accident. Last edited by SMO22; 03-15-2019 at 04:33 PM. Was hard to watch this video of the crash knowing the horrible outcome. Last edited by Brian; 03-16-2019 at 02:34 AM. So many things could have prevented it though, instead of death. Back to what smcnutt said, hope there wasnt a stupid sign requesting pilots takeoff and land into the sun so you dont "offend" someone with a little prop noise.. thats like those muslums in Texas that moved in next to a pig ranch and than demand the pig ranch get rid of the pigs.. if you dont want to hear airplanes than dont move next to an airport. Look at the two pics, the first one looking at the approach of both planes the 152 is about to touchdown and the T28 over the fence, the T28 pilot would have easily saw the 152 if they were landing east with the nice clear view of the first picture, instead of having that big bright blinding ball of fire in his face, you even hear the guy taking the video say "go around he doesnt see them" right before the explosion..
Last edited by SMO22; 03-16-2019 at 08:51 AM.